All it takes is a small water leak for mold to begin to grow in your Kansas City, KS, home or business. In just 48 hours, mold can grow and spread throughout your property. Due to the irritants and allergens present in mold, mold can be very harmful to you and the people in your home or business. 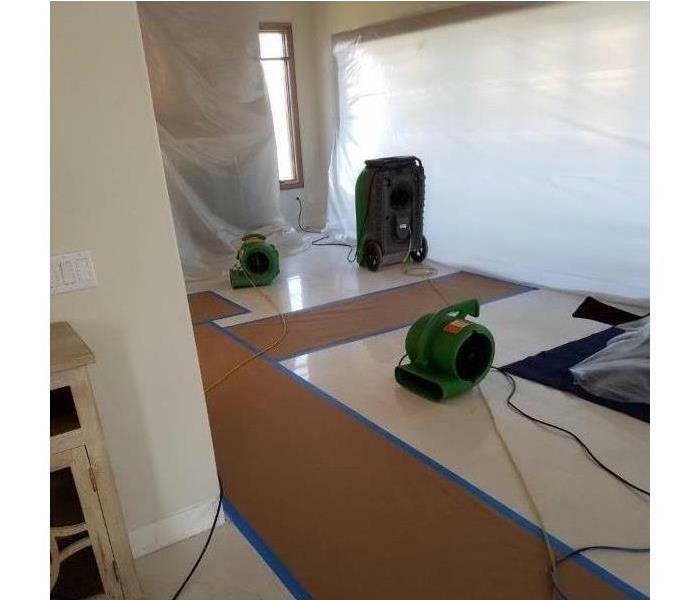 Our SERVPRO of Kansas City Midtown team has the training, protective gear, and specialized equipment necessary to handle your residential or commercial mold infestation. No matter day or night, rain or sunshine, our SERVPRO team is ready to respond to your mold infestation! Contact SERVPRO of Kansas City Midtown for mold remediation services. If you suspect that your home or business has a mold problem, SERVPRO of Kansas City Midtown has the training, equipment, and expertise to handle the situation.